Cate's been in love with words since she fell asleep every night listening to Teddy Ruxpin read stories to her. Probably before that, too, but that's as far back as memory serves. But just getting a job with a B.A. in English wasn't enough. So Cate went on to chase words to their very limit - becoming a doctor of words after a scant 13 years of higher education. (Cate liked school a lot). She received her PhD from the University of Texas at Austin in the summer of 2015. Her dissertation, Laughter and Consequence: Rhetoric and the Trouble with Intention in Humor and Identity Politics focuses on the intersections of performance, identity politics, and contemporary humor, examining the cultural implications of the kinds of jokes we make these days. Cate spent many of her years at UT working in the Department of Rhetoric and Writing’s Digital Writing and Research Lab (DWRL), serving as an Assistant Director for the Lab from 2012-2014. In addition to her roles at UT as visual rhetorician and digital scholar, Cate reviewed theater for the Austin American-Statesman and wrote feature articles for Arts & Culture Texas. In addition to a penchant for cowboy boots and breakfast tacos, Cate’s time in Austin yielded a love of the outdoors and a thirst for long-distance running. She also got a dog and took up knitting. In South Carolina, Cate started a baking blog and joined the local improv comedy company. Cate joined the faculty at Wofford College as an Assistant Professor of English and the Director of Digital Pedagogy for Wofford’s Center for Innovation and Learning in the fall of 2015. 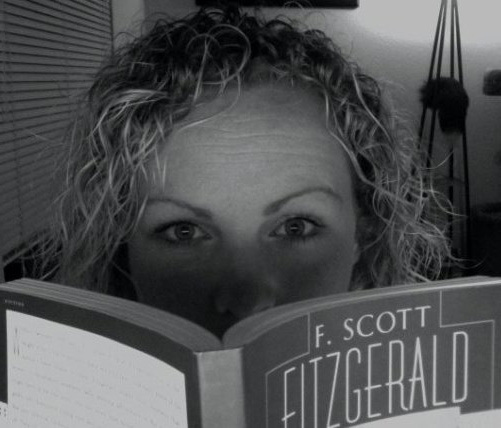 At Wofford, she taught courses exploring visual culture, dramatic literature, and writing in digital environments. You can find her @cateblouke on Twitter, under cateblouke on Flickr, and as Cate Blouke on Academia.edu (even though, technically, her full name is Catherine).